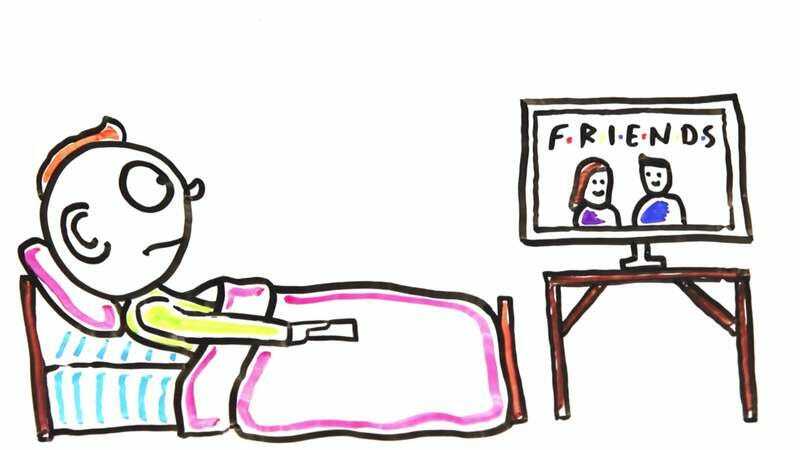 Oh crap, is binge-watching bad for you? Screenshot: Is Binge Watching Bad For You? It’s time again for everyone’s favorite feature: That Thing You Like Is Probably Killing You. This go-round the subject is binge-watching, the act of plopping down in front of a TV or laptop and refusing to move until you’ve watched every single second of Buffy The Vampire Slayer or Mad Men or the latest Marvel TV show that everyone told you was bad but, what the hell, it’s on Netflix so you might as well watch it anyway. As our favorite shows migrate more and more to streaming platforms and studios begin to purposefully craft entertainment that is “binge-worthy,” it’s probably a good idea to figure out whether subjecting yourself to that much screen time is actually bad for you. The answer, as explored in a new AsapSCIENCE video, will not surprise you. Sitting indoors staring at screens for extended periods of time is not only bad for your eyes, but is linked to increased rates of diabetes, heart disease, and literally all causes of death. Additionally, watching TV before bed (that is, falling asleep while hugging a laptop that’s blaring season three of The Office) results in a decreased quality of sleep, and more than 20 hours of TV a week can massively decrease men’s sperm count. Of course, as the video points out, the correlation between these effects and binge-watching does not prove causation. You can still enjoy your favorite half-hour comedy or hate-watch an entire season of a sci-fi series, just make sure you move around a little bit during the opening credits.